Aleida Rios, who came to the United States from Mexico with her family when she was eight years old, is one of the country’s top Latinas in the oil and gas industry. 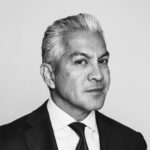 As BP’s vice president of operations for the Gulf of Mexico, Rios oversees a $1 billion operating budget and a team of more than 1,000 employees and contractors. “My parents come from a small, rural town in Mexico, and the only education they had was through elementary school, so for my parents, coming to the US was about giving me better educational opportunities,” Rios explains. According to the US Department of Education, Latino students are currently the largest minority group in the public school system, but they score lower than national averages on math and science achievement tests and enroll at significantly lower levels. Latinos are underrepresented in undergraduate and graduate STEM programs and are not sufficiently exposed to STEM subjects at the K-12 levels. As a result, less than 2 percent of the STEM workforce is Latino. Being introduced to STEM education, including her eventual placement at a STEM-focused high school, changed the course of Rios’s life. While studying chemical engineering at Texas A&M, she began working at BP as an intern in the summer of 1987. The rest, as they say, is history. Make no mistake: Rios loves her work intensely, but it’s a high-stress environment. The scope and scale alone is challenging, with the number of employees working both onshore and offshore for this operation equaling more than one thousand people. She begins each workday with ten minutes of meditation, just to get herself centered, and then she dives in. On Mondays, the VP has back-to-back meetings with her team to understand where they’re at and where they need to be. Tuesdays, which she refers to as her “Terrific Tuesdays,” are for team catch-ups, where discussions are had about the previous week and the look ahead. Wednesday through Friday, however, are Rios’s favorite days. “Leadership time in the field” is what BP calls it, and for Rios, this means getting to travel offshore. After a short drive from New Orleans, she hops on a helicopter and spends three days with engineers offshore. The VP characterizes her leadership style as “democratic and collaborative,” saying she’s quick to make decisions but also that no one should assume she won’t change her mind after consulting with others and making sure “all voices are heard.” Rios’s views on leadership are quite unique. She didn’t enter her field aiming to—or expecting to—reach the senior level. She “never had that aspiration,” she says, but as she did excel, she saw her ascent as a responsibility to give back and pay it forward to her company and community. 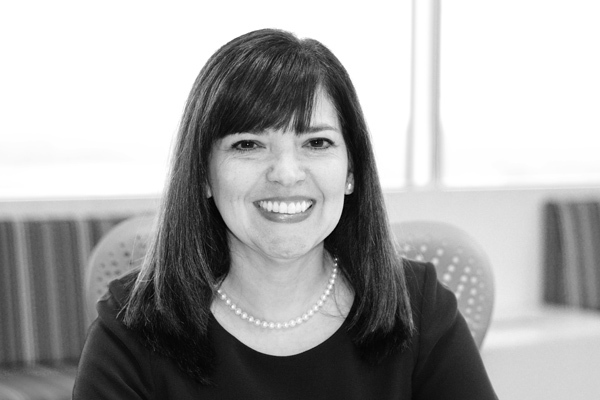 Because of that third grade teacher who saw something in Rios and because of the leadership role she has attained at BP, her way of “paying it forward” has taken the form of her becoming a fierce advocate for Latinas in STEM. She says STEM fields enable women to have great careers with plenty of opportunities for moving up, and diversity is badly needed. Rios partners with BP to bring STEM education to young Latino students because if children aren’t exposed to these fields by middle school at the latest, it’s already too late. The VP also serves as a role model for other women, which helps break what she calls “cultural norms.” Cultural norms have a stronghold in STEM fields in particular because these fields are male-dominated. When Rios first began her career, she had a lot to overcome. She was the first woman who worked at BP’s plant, and her father was confused by her choice, asking her why she was working in the fields of West Texas with men. “Sometimes all it takes is a role model to let other women—or to let young children—know that this work is possible for them,” Rios says. Rios is also a part of BP’s Million Women Mentors program, which is a national initiative working to mobilize one million mentors to inspire girls and young women to pursue careers in STEM-based industries. According to the company, 80 percent of the fastest-growing occupations in the US depend on STEM skills, and currently 86 percent of engineers and 76 percent of computer professionals are men. What has kept Rios at BP for more than thirty years, she says, is that she has always been able to bring her full self to work, even when there weren’t other women in her field and there especially weren’t any Latinas to pave the way before her. If there was ever a time early on in her career where she felt like she wasn’t performing to the best of her ability, it was always because she felt she wasn’t being authentic or true to who she is. Her office, she says, is a sign of the shift that occurred many years ago. She has pictures of her family, her children, and items representing her culture everywhere.